Voltage stability studies the effect of variation in reactive power on the voltage of the system. 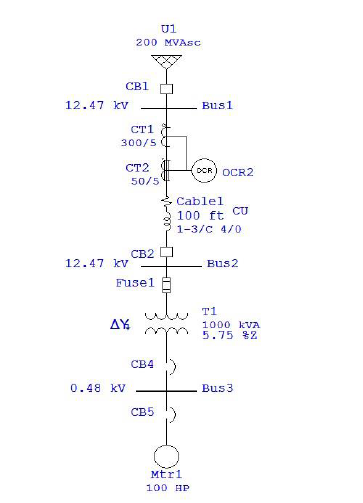 QV relationship shows the sensitivity and variation of bus voltages with respect to reactive power injections or absorptions. A system is in a stable mode with respect to voltage if V – Q sensitivity is positive for every bus, and voltage unstable if V – Q sensitivity is negative for at least one bus. In order to create a QV curve, a fictitious generator is placed at the bus which is being analyzed. The voltage set- point of this generator is then varied and its VAR output is allowed to be ANY value needed to meet this voltage set- point. At some point, the MVAR value of the generator will stop decreasing and reach the “bottom” of the curve. This point represents the maximum increase in the load MVAR at this bus. Any higher and voltage collapse would occur. If the QV curve does not cross the x-axis, this means the system cannot solve this case. The V- Q sensitivity of a bus is the slope of its QV curve at the given operating point. Positive sensitivity indicates a stable system. While small value positive sensitivity indicates more stable system. And negative sensitivity indicates an unstable system. To maintain stability expect voltage (V) to increase as VARs (Q) are increased. Various software (i.e. 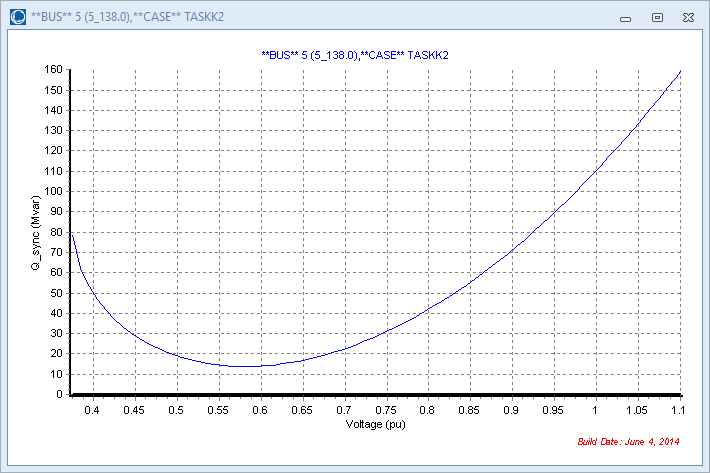 Matlab/Simulink, ETAP etc) can be used for the study of voltage stability in a power system using Q-V curves. 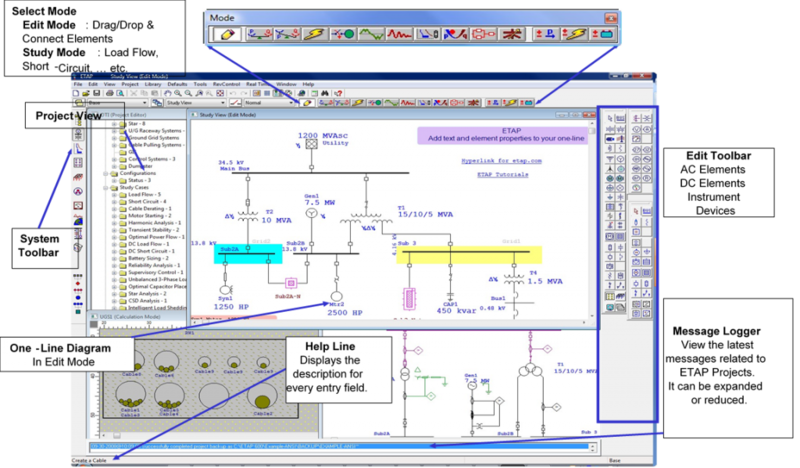 While Use of ETAP for study of system voltage stability is also evident a power system modelled in ETAP, yet this tutorial uses Power World Simulator due to it’s simplicity and ease of use. Power world simulator is an interactive power system simulation software and it can be used to analyze system behaviour ranging from several minutes to several days. The software can be downloaded from the official website of power world corporation. 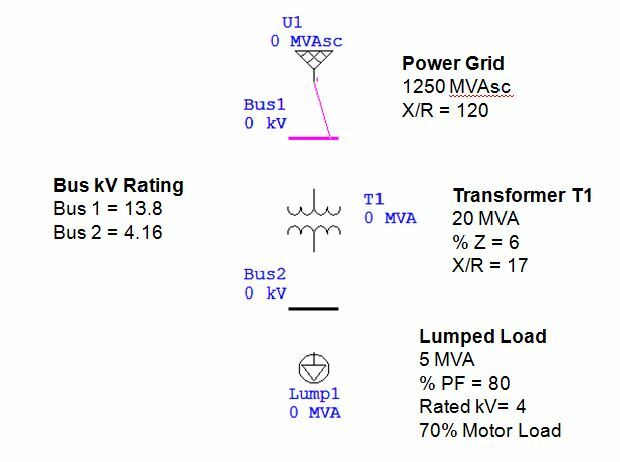 For a basic introduction to the PVQV tool add-on for analyzing impact for Real and reactive power on voltage sensitivity of a system, you may visit the PowerWorld website. TASK 1: When the Load at bus 5 is 40 Mvar determine stability for the base and contingency case. When the connection between bus 5 and bus 2 is removed this shows the contingency case and when the connection between them is connected this is referred to as base case. The base case operating point of the system is represented by the x-intercept of the curve. This is the point where the fictitious generator is at 0 Mvar output and represents the base case. There are situations in which the output of the fictitious generator is not 0 Mvar in the base case, but these will be explained with the appropriate option settings. When considering a contingency scenario in the QV analysis, the term base case operating point will also be used. This is the starting case that represents the system prior to performing any analysis for the curve tracing. Tracing down the curve from higher to lower voltage set-points represents a decrease in the fictitious generator’s Mvar output which is representative of an increase in Mvar load. The curve is then tracing what the voltage would be as the Mvar load increases. At some point, the Mvar value of the generator will stop decreasing and the bottom of the curve will be reached. This point represents the maximum increase in load Mvar that can occur at this bus before voltage collapse is reached. If the lowest point of the curve lies below the x-axis, it indicates the Maximum Mvar load before the collapse. And if lies above the x-axis it indicates the Max. Mvar needed to come out of collapse. The base case operating point of the system is represented by the x-intercept of the curve where the slope of the curve is positive. 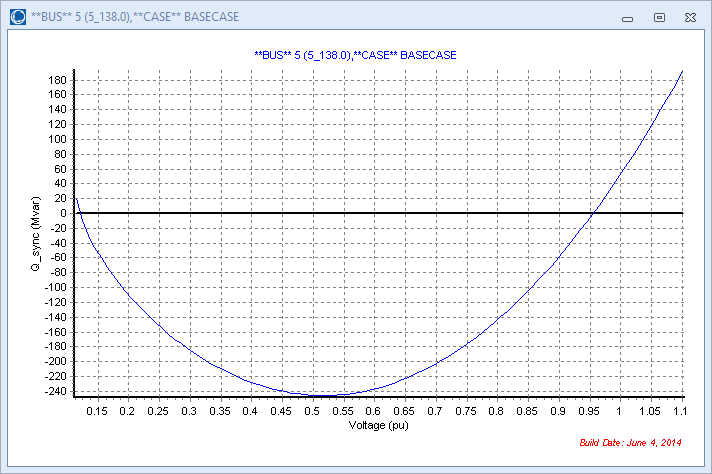 For the Bus 3 curve where it intercepts x-axis from the right side which indicates a Q-V sensitivity to be positive (Base case operating point). This indicates that it achieves voltage stability. For Bus 5 the curve cuts the x-axis at 2 points. Cut on the left side indicates that QV sensitivity is negative and right side cut indicates a QV sensitivity to be positive. This is its base case operating point. Values diverge in contingency case for bus 3. So, we cannot certainly conclude about the stability at this point as the solution does not diverge to a single plausible operating point. Analysis: For the bus 5 minima of the curve does not cross the x-axis and it needs more Mvar to come out of contingency. So load collapse occurs on this bus and it is unstable with respect to voltage stability. This bus needs more Mvar to avoid load collapse. As compared to base case contingency case is less stable (or almost unstable) for 40 Mvar as shown in fig. 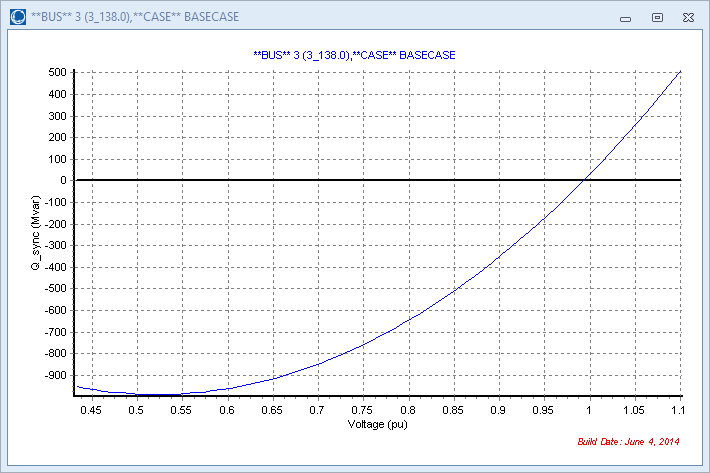 By observing q-v curve for bus 5 contingency case, we see that it requires almost 20 Mvar to come out of voltage collapse.